Jackson’s Mighty Fine Food and Lucky Lounge Grilled Artichokes and Garlic Aioli is a recipe that I am thrilled to have. This recipe is from my friend and fellow blogger Fran from http://www.frantasticfood.com”>Frantasticfood.com. Fran and I met at Food Blogger Camp in January, and ever since then I salivate whenever she posts a recipe. Here is her “CopyKat” recipe for Jackon’s Mighty Fine Food and Lucky Lounge located in Washington, D.C. area. A new restaurant opened in my neighborhood a little more than a year ago; Jackson’s Mighty Fine Food and Lucky Lounge. Jackson’s is part of the local Great American Restaurants group, a selection of dining establishments with menus that offer great variety. Named after the restaurant group’s first chef, the late Bill Jackson, the restaurant touts an indoor/outdoor bar and an extensive menu. Jackson’s is my local go-to restaurant for the roast chicken salad and when it’s in season, grilled artichoke and garlic aioli, not to mention the mini hot buns and honey butter. Depending on the time of year I grill the artichoke in the house on a grill pan or outside on the grill on my balcony. It never disappoints. Jackson’s Mighty Fine Food and Lucky Lounge Grilled Arichokes and Garlic Aioli is so easy to make! 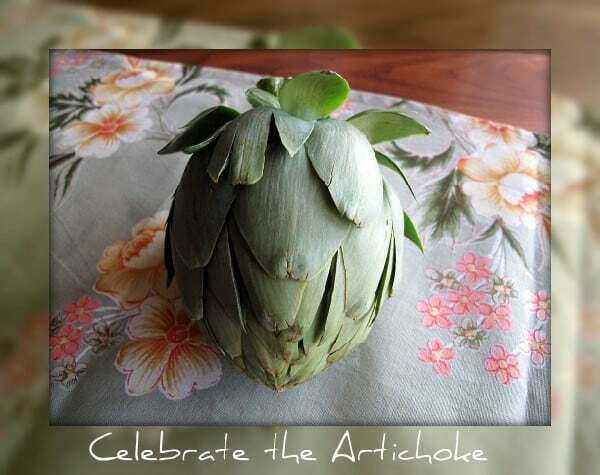 Trim the artichoke – cut the stem and clip the spiny tips of the leaves. Squeeze 1/2 of the lemon on the cut portions of the vegetable to prevent discoloration. Place upside down (for stability) in a microwave-safe bowl and add water. Cover with lid or plastic wrap and microwave for 7 – 8 minutes. Take care not to overcook to prevent the leaves from becoming soggy. Larger artichokes may need an additional 2 – 3 minutes in the oven. Remove from the microwave and shock with cold water. When cool enough to handle, cut in half and carefully remove the prickly choke. In the meantime, in a separate bowl, combine mayonnaise, 2 teaspoons lemon juice, garlic, salt and pepper and mix until combined. Let sit for at least 15 minutes to marry the flavors before eating. 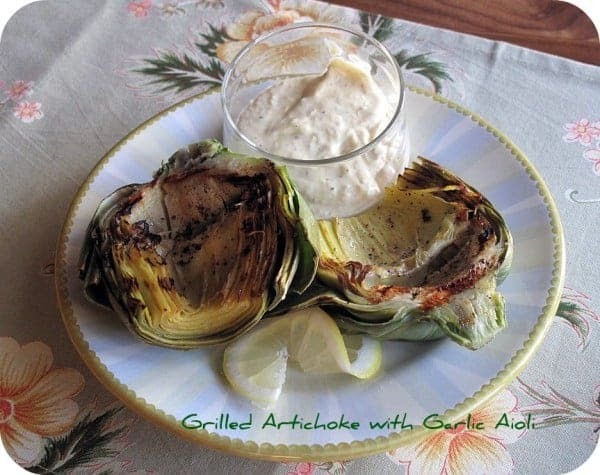 Grill the artichokes in the kitchen with a grill pan, or outside on a grill. If you are using a grill pan, pour a couple of tablespoons of olive oil into the pan, and put the artichokes cut side up and grill over medium heat for about 5 to 7 minutes, and then flip over, and grill the cut side for an additional 5 to 7 minutes. Season the artichokes with salt and pepper to your desired level of seasoning. What a great way to make fresh artichokes.